BOSTON -- The U.S. Department of Homeland Security warned retailers about a type of malicious software attacking point-of-sales systems, dubbed "Backoff," that it said is undetectable by most types of antivirus software. The agency released a 10-page advisory about the payment-card-stealing virus Backoff on Thursday, saying it has been observed in at least three forensic investigations into breaches of payment systems. The U.S. government has released reports on several types of malicious software that cybercriminals used to steal payment cards in the wake of last year's unprecedented breach at Target (TGT), which resulted in the theft of some 40 million payment card numbers. 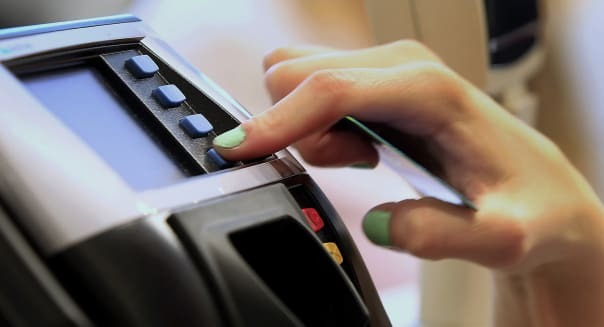 Backoff is a family-of-point of sale malware first identified in October 2013 and with capabilities that include scraping memory for track data, logging keystrokes and injecting malicious stub into explorer.exe files, DHS said. It said attackers use publicly available tools to find businesses that use remote desktop applications, then gain access to an administrative account to insert the malware. The DHS advisory warned that such malware put both the business and consumer at risk, exposing data including names, credit card numbers, email addresses, mailing address and phone numbers. "These breaches can impact a business' brand and reputation, while consumers' information can be used to make fraudulent purchases or risk compromise of bank accounts," it said.